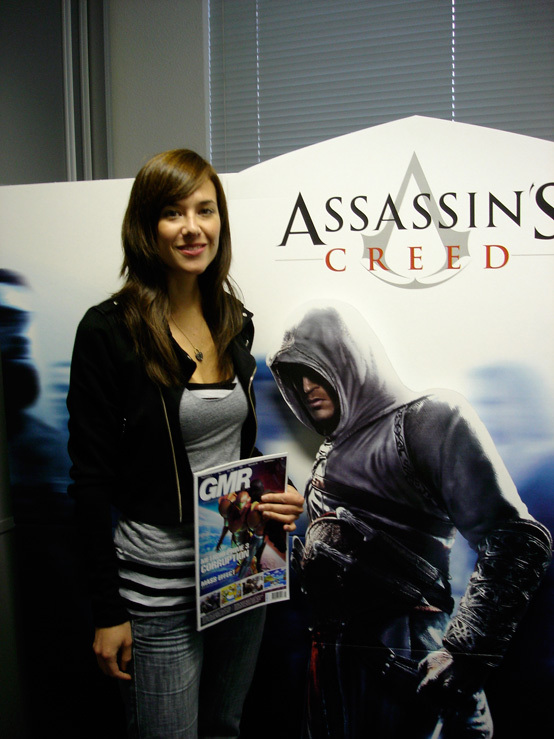 Just before the release of ‘Assassin’s Creed’, I got the opportunity to visit Ubisoft’s Dutch office in De Meern and chat with producer Jade Raymond, who was there to promote the game. She was mainly talking to mainstream publications, but the games mag ‘GMR’, which I write for, was given an interview slot, too. Maybe because market leader Power Unlimited had already been flown to Canada a couple of times to do the same. I didn’t ask about the whole ‘Jade, beautiful woman’ thing, even though I find the phenomenon quite interesting – not the fact that Jade is pretty, but the fact that everyone is (or was, a while ago) talking about this. Just before the interview, the Dutch product manager had sort of warned me about this, because apparently she’d been a bit grumpy that morning, after people had kept asking her about it. I complied. Secondly, when I did the interview, I’d played Assassin’s Creed for only about thirty minutes and was very much impressed by the feeling of freely climbing and running through the city. The internet backlash, punishing the game for its repetitive and uninspired missions, hadn’t come yet. So maybe I’m a bit too nice about the whole thing. Finally, a few of the questions are tied specifically to the magazine – such as the opening question and the question about The Netherlands. Please bear with these! Anyway, with that all said, on to the full transcription – of which excerpts appeared in GMR issue 2007/6. Who is Jade Raymond? What drives her? So what is the skill you bring to the team? Tell me how you began working in this industry. You are originally a programmer, right? How did your interest in computer science start? So what did you like best? Building the robots or showing them around? Because I like creating stuff, too, but I wouldn’t create stuff if I didn’t have an audience for it. What do you prefer, working with people or with code? Another question. What’s it’s like to be a producer in crunch mode? Are you as busy as the programmers and artists? You basically decide what the best bugs are. On to Assassin’s Creed. The subject matter seems quite ‘adult’ to me. A game about the Third Crusade could be offensive for some people. “It’s a work of fiction, and it’s about the Assassins. The Assassins did come to be during the Crusades. And the Crusades are set with a religious backdrop. We did think about this, the fact that it’s a touchy subject. You can’t make this game without realising that there is some controversy in it. So we asked ourselves things like: do we change the names of all of the cities, do we take off the crosses on the Templars’ outfits, do we move the crosses from the churches, do we change everything? And we decided not to. It’s not because… the game is based on history, and you can walk down the street anywhere and see churches and it’s not offending anyone. So why can’t we make these cities and put churches in the game? “My point is our story is fictional. It has the Third Crusade as its backdrop and it’s based on the Assassins, but this guy Altaïr never lived, and that gave us a lot of flexibility. We also worked with cultural experts and historians, making sure we were getting all things accurate, not taking one person’s perspective. But we also took a lot of the myths surrounding the Assassins and a lot of the facts that people are arguing over, and we used that to create our own story. So we really tried not to make this about religion and we didn’t want to say, ‘this is what happened in the Third Crusades’, or, ‘this is a documentary.’ This is a game. It’s not fantasy, there are no dragons or ogres. It’s very much on the human scale, it does happen in real cities, but Altaïr didn’t exist, and this is his personal story. We made him up to be a hero in the sense that he’s trying to end the war, bring peace to the land by getting rid of the key guys. “And then we even added another layer, which is: he still questions what he’s doing, even though the guys are set up to be really evil. You’re going to see when you play that there’s a moment of exchange between Altaïr and his targets, where he finds out that there’s something else, and where he starts asking himself why he’s really doing this. And even if he is really evil, what’s the perspective and who decides that, and what’s you point of view? So there are different layers of questioning for people who are looking for a little bit more. Not many games have religious things in them at all. Why do you think this is? 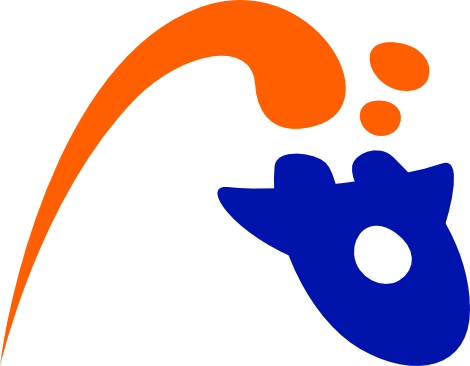 Are you interested in pushing games forward as an art form? Why aren’t more people working on that? In Hollywood, there are smaller studios coming up with more original movies. Back to your game. Playing it for a bit, I thought it felt like ‘Tony Hawk’ taken to the next level. I wondered why it took so long for an open world type game to get the Tony Hawk kind of freedom of movement. Where you can hang on to every single ledge. What about keeping the science fiction plot of the game a secret? Why? I think I saw a video interview in which you said it was just a stylistic choice. A question I have to ask for the magazine: have you been to The Netherlands before? How has the press tour been so far? Finally, do you have something surprising to tell our readers? Something they don’t know yet? Any weird hobbies? Do you have an explanation for why so many people dream about flying? Sure. Especially when I was a kid. If you could trade ‘knowing what the best is’ for flying, you wouldn’t doubt a minute.